George Grant & Co & James Grant & Co Melbourne. Information is scarce about this company, but an entries in "Sands & McDougal's Victorian Directories exist for the period 1875 to 1926 at least listed under Agricultural Implement makers. There is also a George Grant at 44 Elizabeth St for similar periods, we are not sure of the relationship (late info expalins it all below). An excerpt from The Argus, Sat Dec 2 1871 - a report on a show day of the National Agricultural Society of Victoria mentions the Grants "..Mr. James Grant shows a hay dray with double action break; swing wheel and vine- yard ploughs; a light two-wheeled reapor; and a four-wheeled one. The knife of this ranges with the centre of the wheel, an advantage in passing the farrows. He has also a well-designed four-horse grubber. Mr. George Grant shows a two-wheeled back delivery reaper ; the parts liable to fracture are made of malleable iron, thus lessening the risk of damage ; a four-wheeled reaper and mower, with short stroke and greater speed, which adapts it better for mowing ; a double-furrow plough of very simple design; swing and wheel ploughs; seven-tined grubbers and harrows, with straight-billed driven teeth, good practically useful articles. It appears that the two Companies were separate identies, but until further evidence is available, we will group them together on this webpage. "George and James were brothers. George was born in 1825 and James in 1827. George left Scotland for Australia in early 1853 and James followeda few months later. George started his business in the mid 1850's and had a few adresses around Melbourne and in about 1861 was at 44 Elizabeth Street, Melbourne, between Queensberry Street and Victoria Street. James' business was at a few addresses until in about 1869 he was at 36-38 (later renumbered as 570-576) Elizabeth Street, a few doors down from George. James' private residence was at 34 (568) Elizabeth Street. James' business was there until 1920 then movedto 482-486 Elizabeth Street between Therry Street and Franklin Street, then in about 1924 moved to 151 Franklin Street (between Elizabeth Street and Queen Street). In about 1876 George went to farm land he had selected at Lardner, near Drouin. I think he sold the business at about that time to a Mr. Robert Stewart, or may have leased it to him. The business continued to be operated under the name of George Grant & Co. until about 1880 when the business went into insolvency. The Elizabeth Street premises was still owned by George at the time of his death in 1892 aged 67. 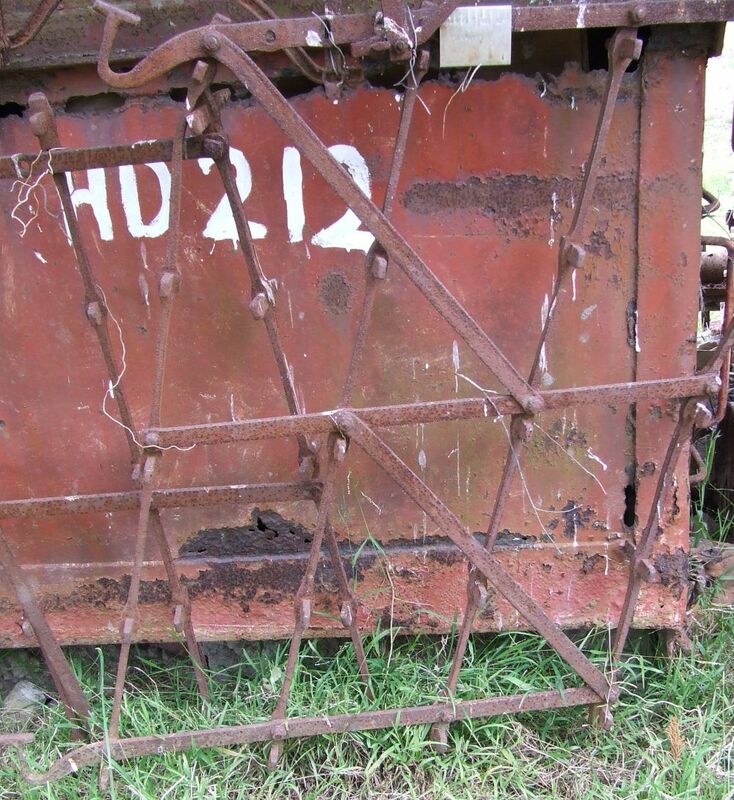 I have attached two articles from the Australasian Ironmonger which may be of interest. One of them mentions Hugh Lennon (that was interesting about his ploughs being used for Ned Kelly's armour) having worked for George in his younger days before starting off on his own. I have also attached two advertisements, one on top of the other, printed in The Leader newspaper dated 2 December 1871, so although they must have been in competition with each other, they must have cooperated a lot too. 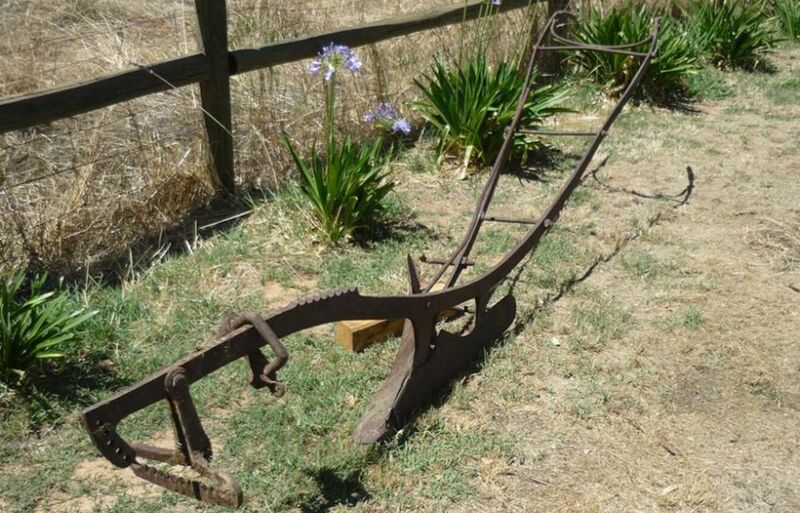 Also attached is a couple of photos of a plough at a Wagga Wagga museum where the two firms made the one plough. James Grant & Co., in the 1880 Melbourne International Exhibition at the Royal Exhibition Buildings, exhibited ploughs, harrows and swingle-trees and won a Second Order of Merit Certificate for a plough. Extract from Australasian Supplement - 22 August 1885 - "Mr. Jas Grant, the plough maker, shows a representative collection of his ploughs and other cultivating implements. The ploughs include vineyard ploughs, breaking-up ploughs, squatter's drains and tank making ploughs, hill-side ploughs, subsoil ploughs, and single and double furrow ploughs. There are also on this stand horse-hoes, harrows of different kinds, waggons and drays, and the display reflects credit upon the manufacturer." James often exhibited at the Royal Melbourne Show. James died in 1916 aged 88, then his son William carried on the business still under the name James Grant & Co. until William's death in 1929 when the business ceased operations. James Grant of Cobram is no relation. I know of a few ploughs that still exist that they made, or they did exist when I last saw them. As well as the plough made by George and James' firm at the Wagga museum, that museum also has another plough made by George's firm. And at the Bendigo Showgrounds there is a plough made by James' firm which was used in the construction of the Bendigo tramways. I don't know if they made any tools and if they did whether any might still exist. Not many Grant spanners are known - the one pictured on this page could be by the Melbourne or Cobram Grant Companies. If any reader can provide additional information or images please make contact via the link below.